"The Library and Your Research" is a free workshop series that helps graduate students enhance and professionalize their scholarly pursuits. The series is sponsored by the Graduate Student Council and K-State Libraries. All sessions take place from 1:30-2:30 p.m. in 407 Hale Library. Are you preparing a literature review for a paper, article, thesis or dissertation? This workshop will help you! Learn why a literature review is important, how to use K-State Libraries' databases to select articles, how to evaluate the articles, and how to organize the review. For this session, article searching will be demonstrated using Web of Science and PubMed, but the concepts will be applicable to all disciplines. Citations and references are essential to research and publishing, but the process of storing, organizing and formatting them can consume a lot of valuable time. This hands-on workshop introduces RefWorks, a powerful citation manager. Participants will set up a RefWorks account and then import, organize and edit citations. We'll also cover inserting citations directly into a Word document, creating a bibliography and more. Computers will be available, but participants are encouraged to bring a laptop so they can set up Write-N-Cite, a Word plug-in, on their own devices. We all have data, and we all need data — whether it's text, digital photos or spreadsheets full of numbers. Learn how to identify, access, evaluate and use data. 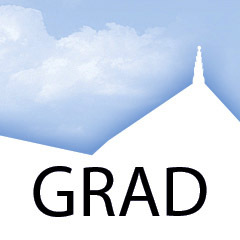 Are you preparing to graduate next semester, or would you like to get a head start? This workshop is just for you: You'll get started using the ETDR Template for your electronic thesis, dissertation or report. The ETDR Template meets the Graduate School's formatting requirements, so don't wait until the last minute to learn the ETDR ropes. We'll also cover the use of special Word features plus citation management and copyright basics. Writing and publishing your scholarly work can be both an exciting undertaking and a daunting task. This workshop will cover how to understand publisher copyright contracts, your rights as an author, and how you can potentially retain more of your rights when you decide to publish. Working on a thesis, dissertation, or report? Learn how to reuse your own work in your ETDR or publications and how to legally and ethically reuse others' works, all while getting a crash course in copyright. In the second of our two workshops on RefWorks, participants will take a deeper dive into citation management through a demonstration of the software's advanced features. Instructors will also make time to work through your RefWorks questions and issues and offer troubleshooting assistance. Computers will be provided but participants are encouraged to bring their own laptops, especially if they need assistance troubleshooting RefWorks tools such as Write-N-Cite. Questions? Contact Adriana Gonzalez, head of academic services, at ajgonzalez@k-state.edu or 785-532-5760.